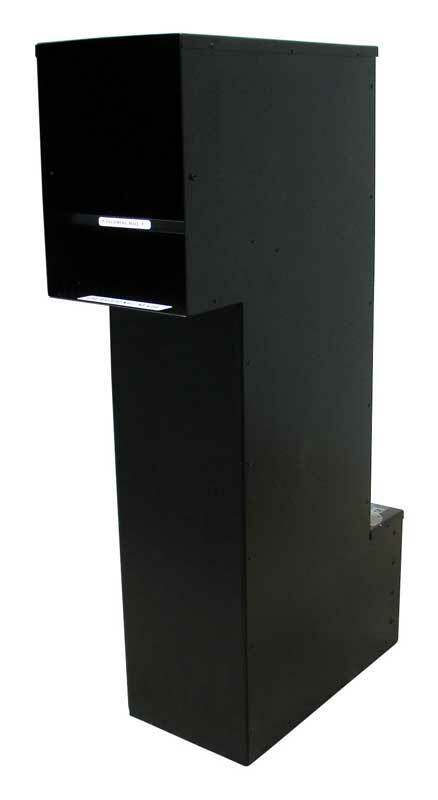 Add security to your column mounted mailbox by installing a chute that drops your mail out of reach of unwanted hands. The mail drops down to a locking rear door for easy collection. The chute is made of 16 gauge powder coated steel and includes a separate compartment for outgoing mail. The newspaper box is not available with this option. Maximum package size: 7-1/2" x 14" x 7-1/2"